A day after the release of an executive order by President Trump that omits naming China, the Defense Department, in a new AI strategy document, speaks in stark terms of a "destabilizing" Chinese threat. "Failure to adopt AI will result in legacy systems irrelevant to the defense of our people, eroding cohesion among allies and partners, reduced access to markets that will contribute to a decline in our prosperity and standard of living, and growing challenges to societies that have been built upon individual freedoms." The bottom line: The new document, a public summary of a classified strategy developed last year, calls for the Pentagon to realign itself drastically. Sounding at times like a startup pitch deck, the DOD paper promises to deploy AI "rapidly" and "iteratively," and to enable "decentralized development and experimentation." But, but, but: This realignment is a tall order. 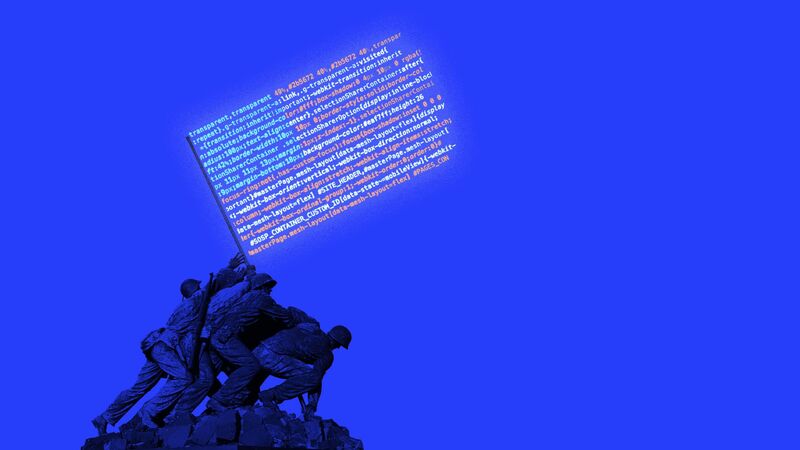 The Pentagon is not an agile software team but an enormous, slow-moving beast, hobbled with the inertia of outdated technologies and strategies, as we reported last week. "There remains an obvious tension between the deliberate and sometimes slow processes required to develop ethical principles for AI’s use in military contexts and the kind of rapid iteration and experimentation with 'forward edge' technologies that the strategy also champions," says Charlotte Stanton, a fellow in technology and international affairs at the Carnegie Endowment. Silicon Valley, not just the old-school military-industrial complex, is a vital audience for the document. Working with tech companies and startups is essential to the military's AI strategy, says Larry Lewis, director of the Center for Autonomy and AI at CNA, a research organization. The document hits all the notes to make tech workers less wary of working with the Pentagon, like ethics, safety and transparency. "It's coming out with a very strong stance saying there are virtuous uses of AI" in war, says Lewis — including to reduce civilian casualties. A major challenge for the DOD's strategy will be to develop a plan that works with allies, Stanton and Lewis say. What's next: Forthcoming ethical guidelines from the Pentagon for military use of AI.